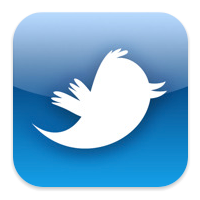 There are a lot of choices in Twitter apps for the iPhone (and now the iPad) but how do you choose which one you should use? Obviously there is one criteria that is most important when looking at Twitter clients… Which one has the cutest icon? Twitteriffic: I’m not a fan of birds, but the name “Twitter” and “tweet” and what not, it’s part of the Twitter brand, so it makes sense. 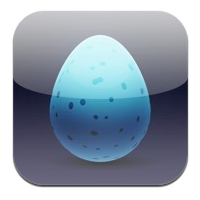 This icon is probably cute if you like birds, but as I said, I don’t like birds. Twitter for iPhone: This is the “official” Twitter client, and it’s not very cute. Another stupid bird. I’m not a fan of birds. 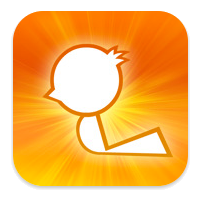 Couldn’t they make a cute bird instead of this goofy silhouette bird? EchoFon: Finally, not a bird! It appears to be a word balloon type thing. I suppose that’s better than a bird, but as far as being cute, this is not cute. Unless you somehow think word balloons are cute. Plus, it’s just one word balloon, not two, so it’s not even a proper conversation, it’s just one person shouting. 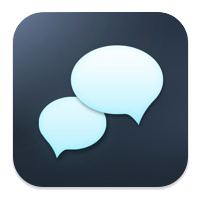 Osfoora: Like EchoFon, Osfoora has an uncute name, and an uncute icon. Not one, but two word balloons! If one isn’t cute, how are two going to be cute? 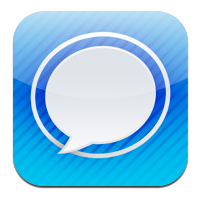 At least it looks like a conversation, which is what Twitter can and should be, unlike the one EchoFon balloon that looks like just one person talking. HootSuite: Finally, a cute bird! It’s an owl, and I really like owls. I like when they turn their heads around and rip apart mice. Owls are cool. 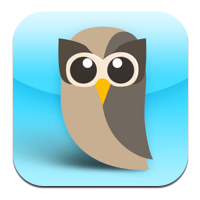 HootSuite has a cool looking owl. 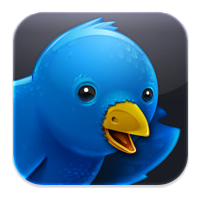 It’s a bird, but not a stupid bird like other apps have. Owls are the best birds. 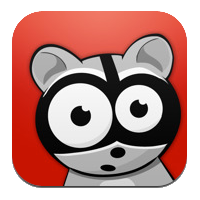 Brizzly: OMG! From what I can tell, this is a bear wearing a bird costume! How freakin’ cute is that!? I mean, bears are way cuter than birds, but this bear has stepped it up a notch by masquerading as a bird, but he’s not really a bird. The cute-o-meter is almost up to 11 on this one! Seesmic: Home Run! It’s a raccoon! I mean… Come on! How cute is that little raccoon!? He’s got big eyes, and he looks a little startled like maybe you scared him, and he’s wearing a mask, because he’s a raccoon! Wow, things got exciting at the end, eh? 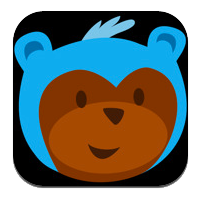 I mean, a bear and a raccoon battling it out for the supreme titled of Best Twitter App (based on how cute the icon is.) It’s a tough decisions… Bear or raccoon? I really don’t think you can go wrong with either one. Posted on Friday, June 18th, 2010 at 5:11 pm. Subscribe to the comments feed. Both comments and pings are currently closed. Post on your own blog. I think that last one might be a cat with a raccoon mask on. ;-) This is about the funniest “App review” I’ve ever read.